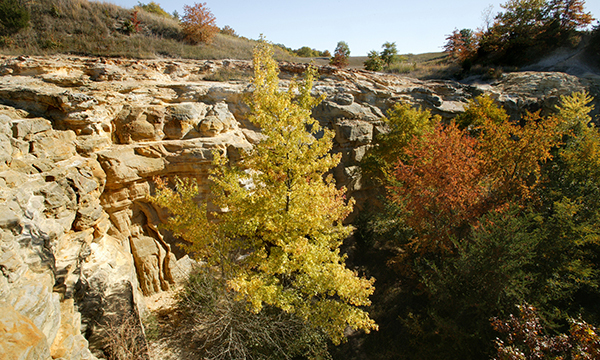 Buffalo Rock State Park is located on a bluff which once was an island in the Illinois River. Now standing majestically on the north bank, this promontory affords a magnificent, sweeping view of the Illinois River. Located approximately 3 miles west of Ottawa in LaSalle County, this 298-acre park has long been a favorite picnic area, as well as a nature lovers’ delight. 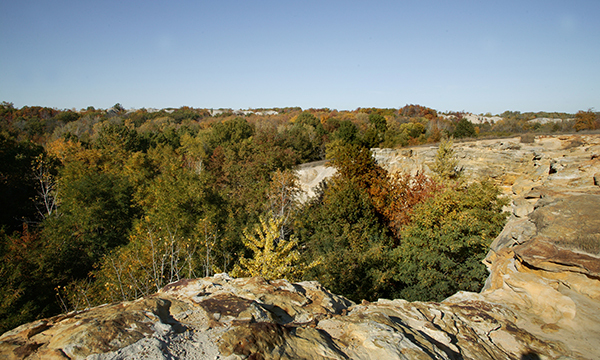 The area of Buffalo Rock was the home of the Illinois Indians when Louis Jolliet, the French explorer, and the Jesuit missionary priest Father Jacques Marquette made their trip up the Illinois River in 1673. Later, the Illinois tribe was virtually annihilated in protracted warfare with the aggressive Iroquois. From Ottawa: From Rte. 6 turn south on W.D. Boyce Memorial Dr. Continue on Boyce to Ottawa Ave. and turn right. Proceed on Ottawa Ave., which becomes Dee Bennett Rd for approximately three miles, the park is located on the left and the I&M Canal Access area is on the right. From Utica: Take Dee Bennett Rd. east five miles to Buffalo Rock.